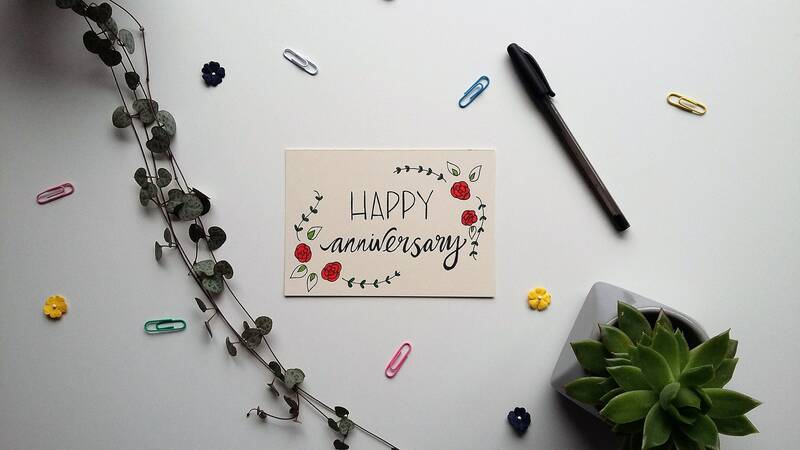 A soft flowery card, perfect to remember that special someone's anniversary. 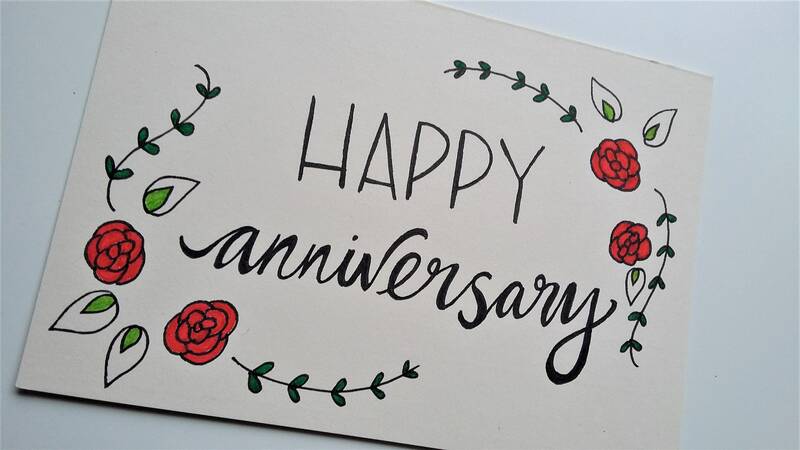 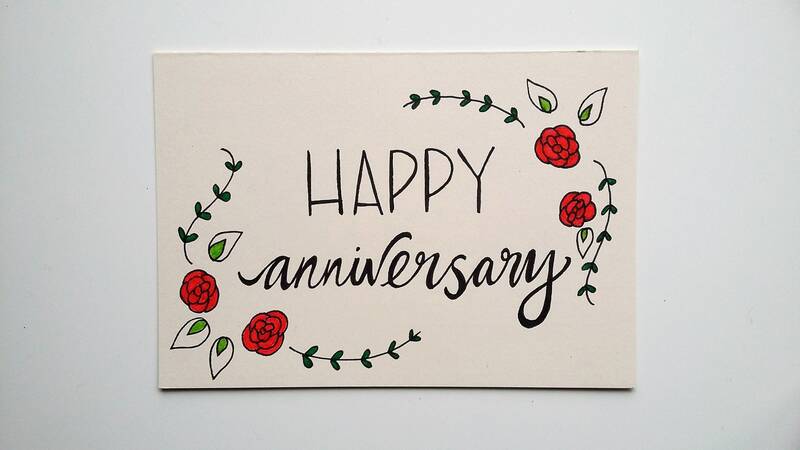 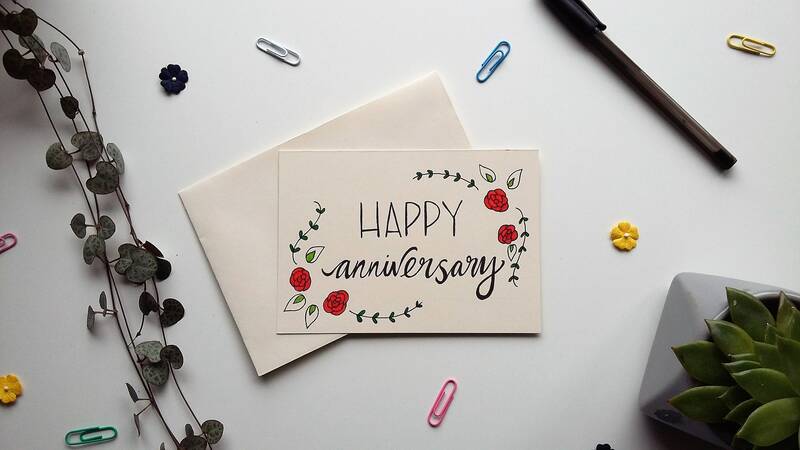 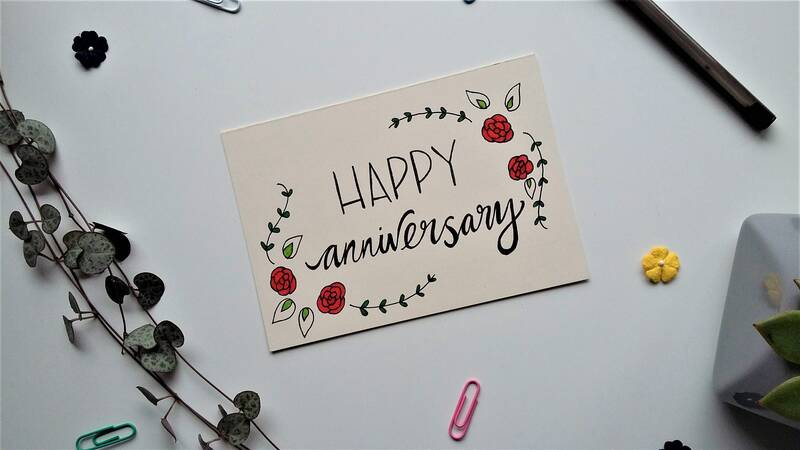 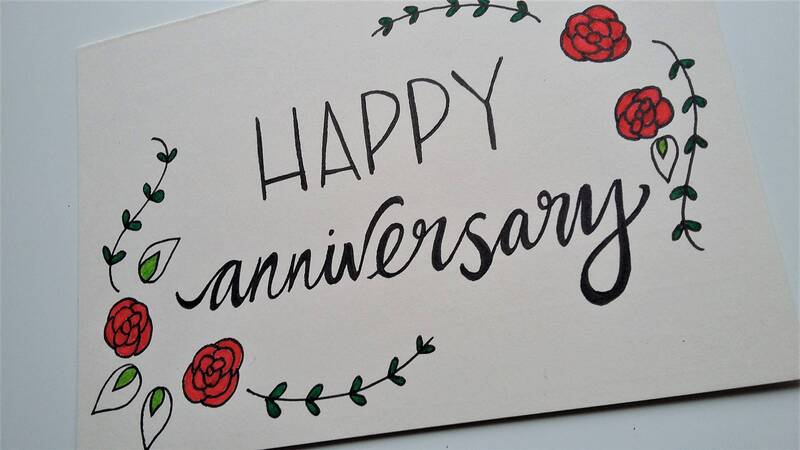 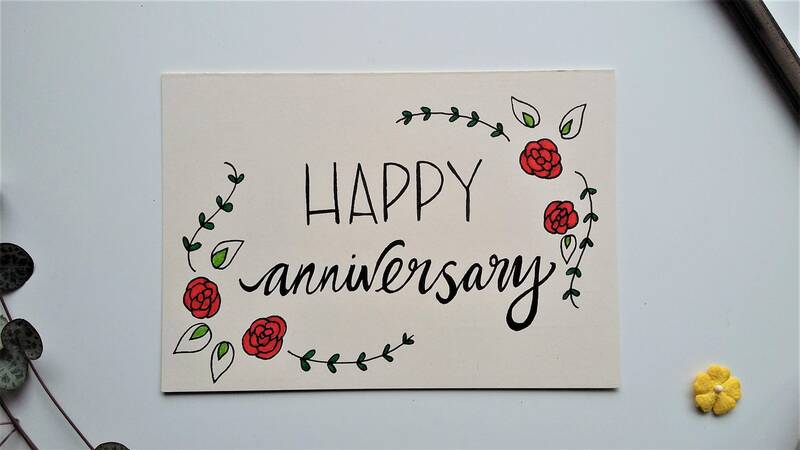 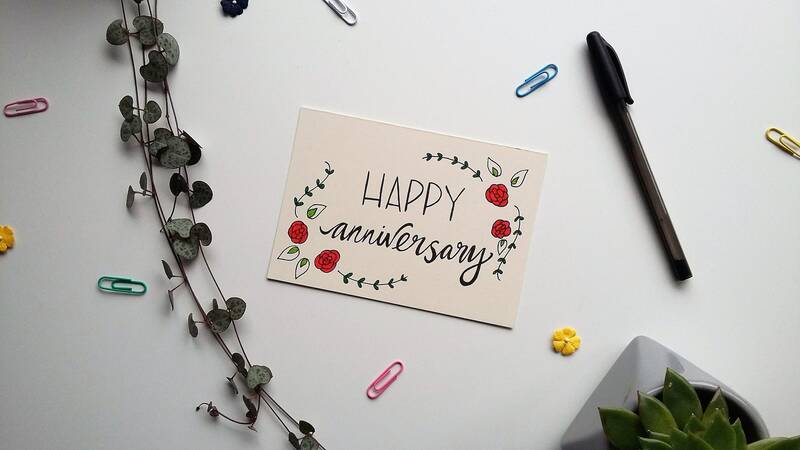 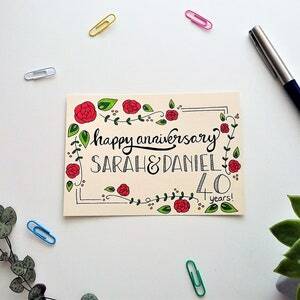 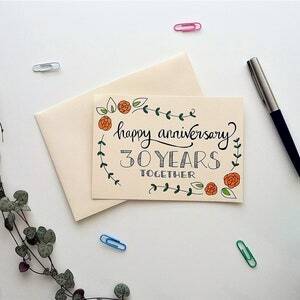 Carefully hand drawn rose flowers and leaves frame the message of 'happy anniversary' in mixed modern typography. 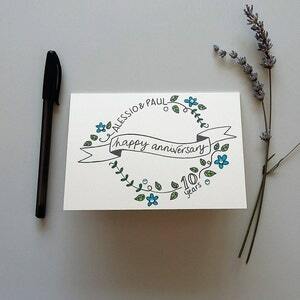 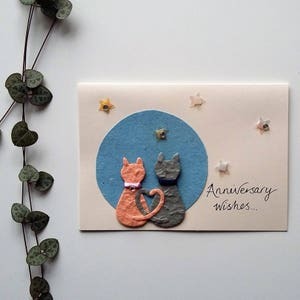 Perfect to send your love and anniversary best to any garden or flower loving couple, or partner.